Now that Apple's iPad Air 2 and iPad mini 3 are available, retailers have been offering discounts on the original iPad Air and the iPad mini 2. There are quite a few deals on previous-generation higher capacity cellular and Wi-Fi iPads, and this week also sees some discounts on remaining 2013 Retina MacBook Pro inventory and deals on some Apple accessories. 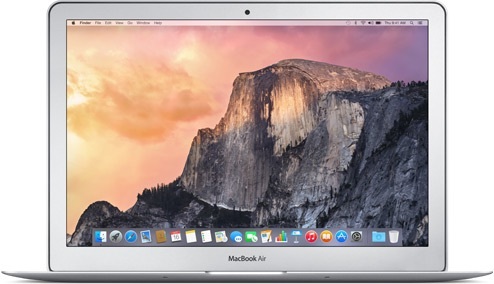 Best Buy is offering the current 13.3-inch 1.4GHz/4GB/128GB MacBook Air for $849 ($150 off), which is the lowest price that we've seen on that particular machine. The iPad Air has seen improvements in the iPad Air 2, so the original model is now on sale. The Wi-Fi only 64GB iPad Air in Space Gray can be purchased for $499 ($100 off) from Best Buy, as can the 64GB Silver Wi-Fi model. The Wi-Fi only 128GB iPad Air in Silver can be purchased from Best Buy for $699 ($200 off). Best Buy also has the 128GB iPad Air in Space Gray for $699 ($100 off). Several sites are also offering deals on the higher-capacity Wi-Fi + Cellular iPad Air models. 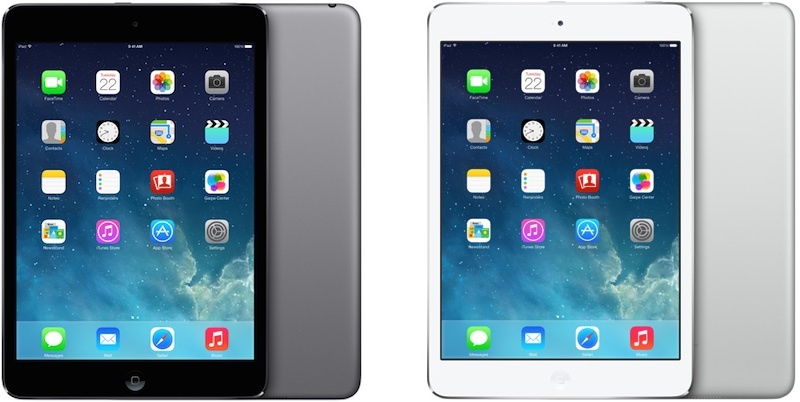 The 64GB Cellular iPad Air in Silver from AT&T is available for $599 from Adorama. The 64GB Cellular iPad Air in Space Gray from AT&T is also available for $599, from B&H Photo. The 128GB Cellular iPad Air in Silver from AT&T is available for $829.99 ($100 off) from Best Buy and the 128GB Space Gray AT&T Cellular iPad is also available for $829.99 ($100 off) from Best Buy. 128GB models from Verizon are priced similarly, with the 128GB Silver version available from Best Buy for $829.99 ($100 off) and the Space Gray version available for $729 ($200 off) from B&H Photo. The 64GB Wi-Fi only iPad mini 2 in Silver is available for $399 ($200 off) from Best Buy. The Space Gray Wi-Fi only iPad mini 2 is also available for $399 ($200 off) from Best Buy. The 128GB Wi-Fi only iPad mini 2 in Silver is available for $499 ($200 off) from Best Buy, while the Space Gray version is available for $499 ($200 off) from Best Buy. The 64GB AT&T Cellular iPad mini 2 in Silver is available for $529.99 ($200 off) from Best Buy as is the Space Gray model. 64GB Verizon Cellular iPad mini 2 models in Silver are available for $529.99 ($200 off) from Best Buy and the Space Gray model is available from Best Buy for the same price. The 128GB Cellular AT&T iPad mini 2 in Silver is available for $629 ($200 off)from Amazon and Adorama. The AT&T Space Gray model in 128GB is also available for $629 ($200 off) from Amazon and Adorama. The 128GB Cellular Verizon iPad mini 2 in Space Gray is available for $629 ($200 off) from Best Buy and Adorama. There are a few deals 2014 Retina MacBook Pro this week. The 2.6GHz/8GB/128GB 13-inch Retina MacBook Pro is available for $1,199.99 ($100 off) from Adorama and B&H Photo. The 13-inch 2.6GHz/8GB/256GB model is available for $1,399 ($100 off) from Adorama and B&H Photo. The high-end 2.6GHz/8GB/512GB 13-inch Retina MacBook Pro is on sale for $1,699.99 ($100 off) from Adorama and B&H Photo. There are some deals on remaining 2013 Retina MacBook Pros. The 2.4GHz/4GB/128GB 13-inch Retina MacBook Pro is available for $1,099 ($200 off) from Adorama and B&H Photo. The 2.4GHz/8GB/256 13-inch model is available for $1,279 ($220 off) from B&H Photo. The 2.6GHz/8GB/512GB 13-inch model is available for $1,549 ($250 off) from Adorama and B&H Photo. The 2.0GHz/8GB/256GB 15-inch model is available for $1,599 ($400 off) Amazon, Adorama, and B&H Photo. The 2.0GHz/16GB/512GB 15-inch model is available for $2,199 ($400 off) from Amazon, Adorama, and B&H Photo. The non-Retina 13-inch MacBook Pro is also on sale for $949.99 ($250 off) from Best Buy. The Sony Portable Bluetooth Speaker with Lightning Dock is available for $169 ($80 off) from Groupon, down from its original price of $249. LivingSocial has a deal on the Jawbone Jambox speaker, offering it for $89 ($110 off). StackSocial is offering the "Mac to the Future" bundle for $29.99, which includes $961 worth of Mac software programs like Fantastical and Ember. The Jarv Run BT Bluetooth Smart Heart Rate Monitor is available for $28.95 ($61 off) from Amazon. 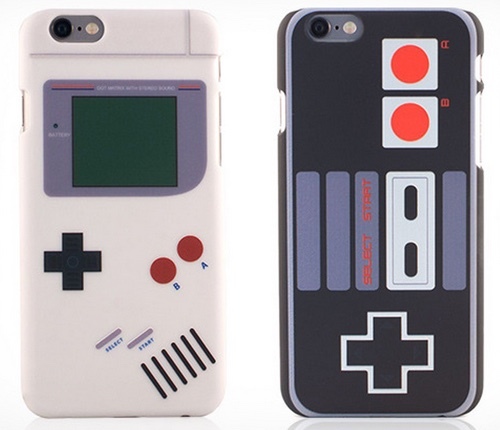 Groupon is selling the Kensington PowerBolt Apple Car Charger for $9.99 and StackSocial has Nintendo iPhone 6 and 6 Plus cases for $14. The Kensington Portafolio Soft Folio Case for Apple iPad mini is available for $14.99 ($15 off) from Groupon, and the Logitech iPad mini Folio is available for $20 off at Best Buy. That's a ridiculous amount of ram for a consumption device, it's not a computer. I've got a 32gb Air with stacks of apps, over 1500 photos, hundreds of songs and I've still got about 4gb left. It's storage, not ram. And some people have thousands of songs, not hundreds (I have over 10,000 on my Mac). I wish people would stop caring about other people interests and needs and just worry about what's right for them. I've never understood the whole "if I don't need it, nobody does" mentality. I personally could easily fill 128GB with music. That's a ridiculous amount of ram for a consumption device, it's not a computer. I've got a 32gb Air with stacks of apps, over 1500 photos, hundreds of songs and I've still got about 4gb left. 64gb maybe, 128 overkill. "As of 2014, most SSDs use NAND-based flash memory, which retains data without power. For applications requiring fast access, but not necessarily data persistence after power loss, SSDs may be constructed from random-access memory (RAM). Such devices may employ separate power sources, such as batteries, to maintain data after power loss." You learn something new everyday. Your simultaneous arrogance and ignorance is comical. "That $499 128gb iPad Mini 2 deal is a no brainer for anyone that wants a mini." That's implying that anyone buying a Mini should buy the 128gb model, which is ridiculous, as most people would never use even half of that. For a lot of people even 16gb is ample, that's why Apple stills sells them like that. You might have 10,000 songs on your Mac, but why would you need that many on your iPad. I don't download all my music from my PCs to my iPad, I just cherry pick the ones I'm going to use the most. Had you said, That $499 128gb iPad Mini is a no brainer for anyone who has thousands of songs, thousands of photos and uses it to download movies, you would have been correct, but you didn't say that. Of course I meant for anyone that needs that amount of storage. I thought that goes without saying. I've actually made the argument multiple times that it's OK that Apple has a 16gb version because that's more than enough for many people. And yes, it would be nice for me to carry all those songs on my iPad. Worry about you, I'll spend the extra bucks to accommodate myself. Also, storage is referred to as ram a lot, as the difference is not that great. This is the first time I have ever heard storage referred to as RAM. I must be the only one though judging by your comment. To me the difference between RAM and storage is major. I probably didn't use it in the right context, but like I said, people use the term a lot these days with the number of SSDs and other RAM based storage around. SSD storage comes in both flash and "RAM based storage". One is volatile the other non-volatile. There is a huge difference in a) access times and b) throughput ! a) is measured in nano seconds, the other in milliseconds. The difference between "RAM" and "flash storage" is larger than previously between flash storage and hard drive storage. Factor 100x vs 1000x . Ergo, iPad RAM vs flash storage is NOT interchangeable! I agree there's no such thing as oversized storage, seeing as I have well in excess of 10 Terrabytes. You call me arrogant and you call yourself Theheadguy, sweet. It's how you speak to people, not what your moniker is. Your mother should have taught you that. Nobody said that, certainly not me, I've got numerous Terrabytes of HDDS on several computers, but that doesn't mean that I should go around saying everyone needs numerous Terrabytes of storage when all they do is hang around on facebook and listen to a few songs. I dare say I have more Terrabytes of storage than about 95 % of the planet. You can spend whatever you like, I know I do, doesn't alter the fact that you gave the wrong impression or didn't realise what you were saying. You really thought I meant "everyone should get a 128gb iPad"?. Lol.